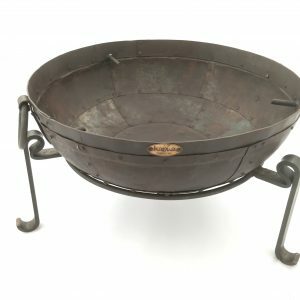 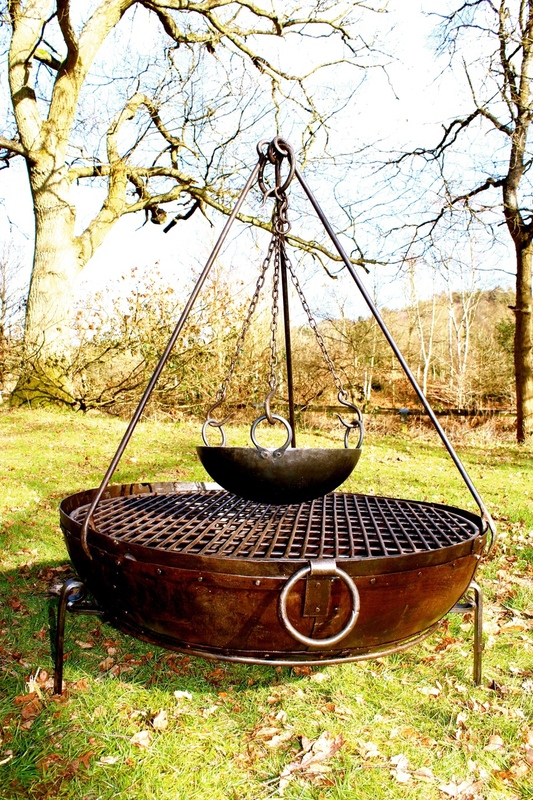 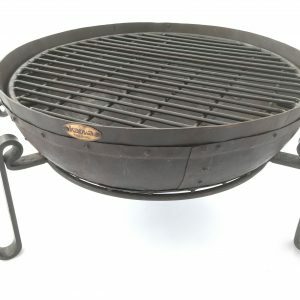 Made specifically to fit our Indian fire bowls this Cooking Tripod is a great addition to your outdoor kitchen. 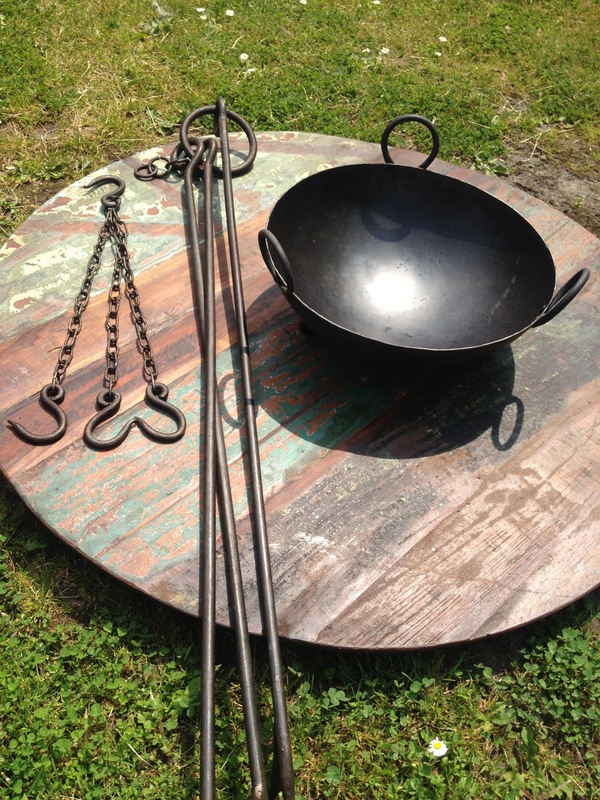 The tripod is made from thick wrought iron and comes with a ring and chain attachment at the top. 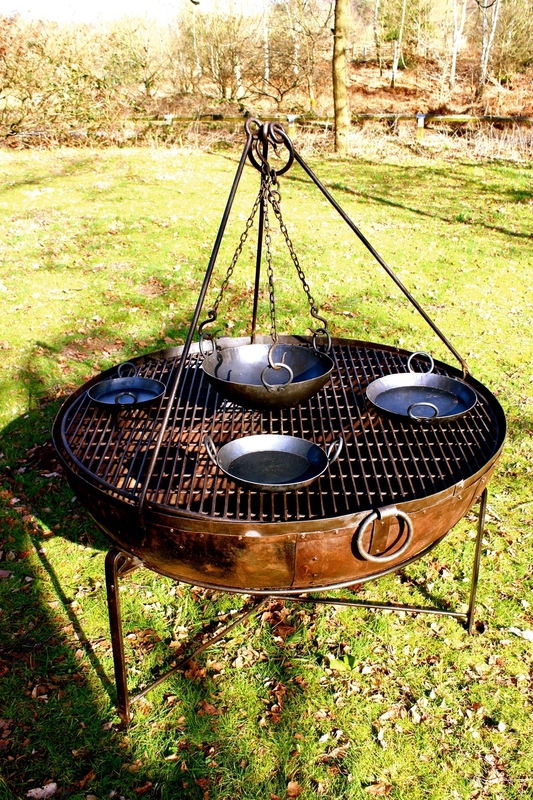 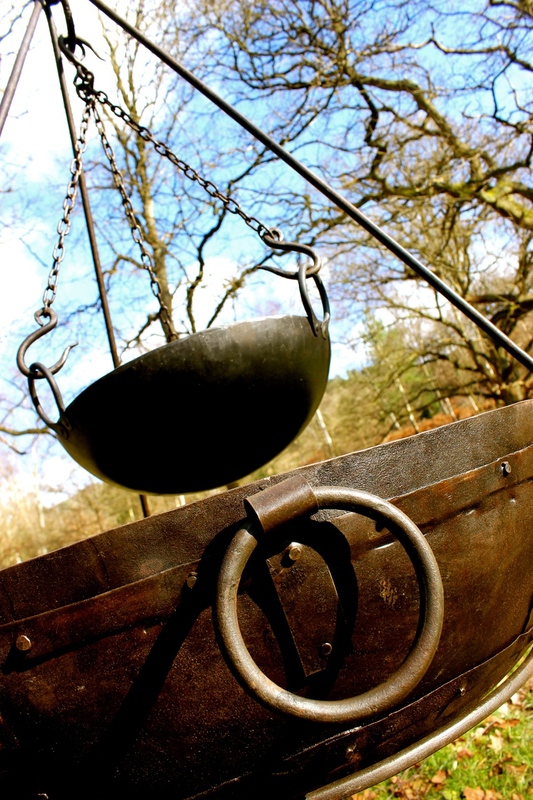 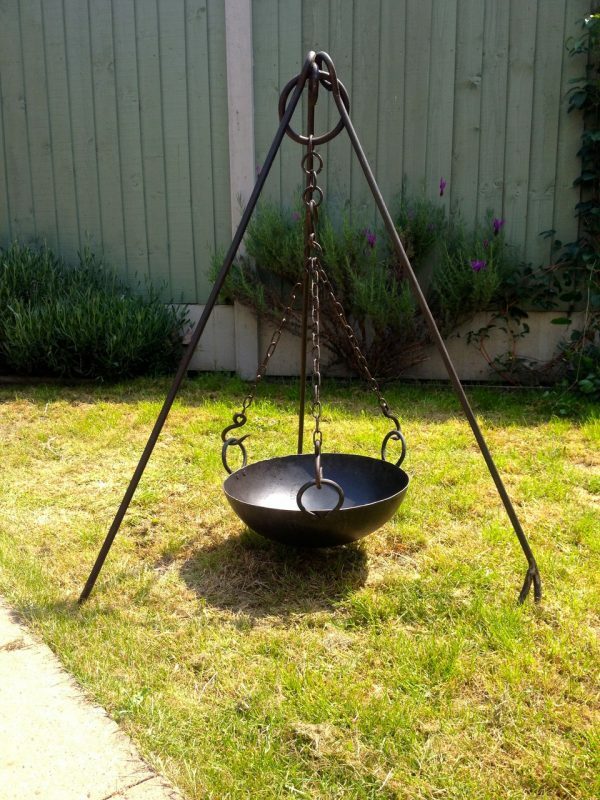 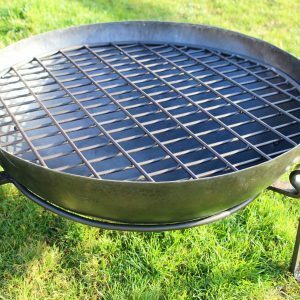 Supplied with an adjustable three legged chain with four hooks and 35cm mild steel cooking Kadai.